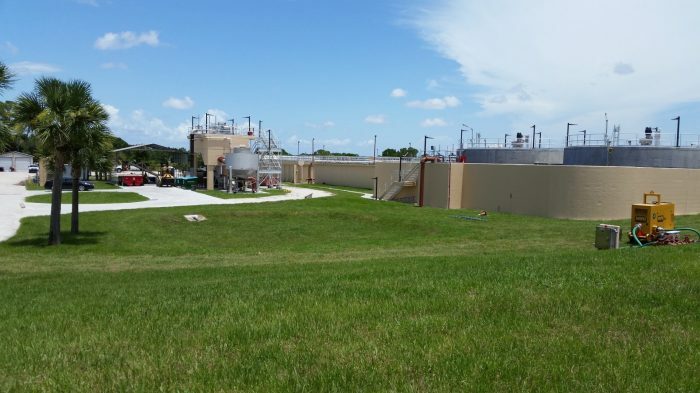 St. Lucie West Wastewater Treatment Plant (WWTP) Expansion | Wharton Smith, Inc. The St. Lucie West Services District provides potable water, reclaimed water and wastewater treatment services to the community of St. Lucie West. 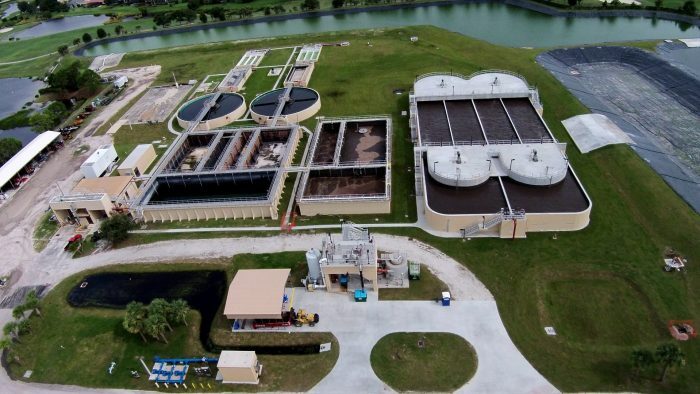 This Service District is in the center of the City of Port St. Lucie, which has been named one of the fastest growing cities in the United States. This recent expansion, completed in June 2015, provides a better system for maintaining public wastewater collection and water distribution to serve the city’s residents. 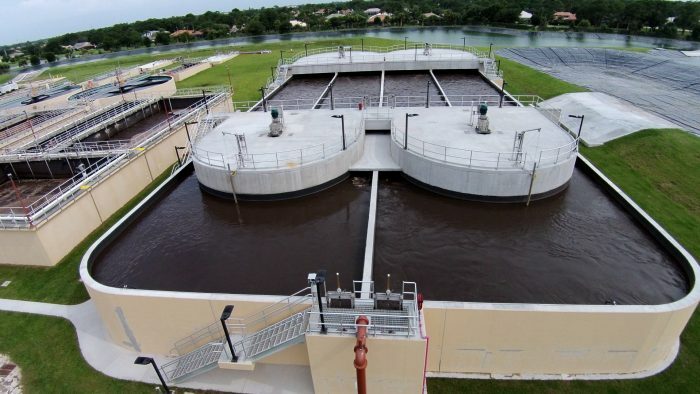 System highlights include installation of new headworks including one screen with washer/compactor and a grit removal system along with the relocation and modification of the existing odor control unit; installation of two common-wall oxidation ditches with surface aeration & submersible mixers in an anoxic zone; modification of two existing clarifiers to replace peripheral fed units; new tertiary filter system utilizing cloth media disks in a cast-in-place concrete tank; surge equalization basins; modification to existing digesters; screw press based sludge dewatering system; synthetic pond liner; electrical; instrumentation and controls, and miscellaneous piping.